Clematis 'Niobe' produces the most beautiful dark ruby-red flowers, almost black upon opening with golden centres from June to September. This non-evergreen climber can be grown against a trellis, garden fence, wall, arches, pillars, pergolas, clambering over tree stumps and through large shrubs or planted in a container trained up bamboo canes or an obelisk. 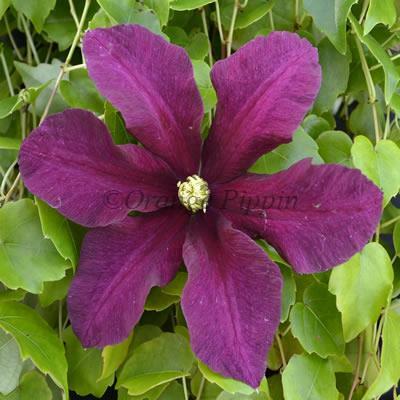 Clematis 'Niobe' was raised by Vladyslaw Noll of Warsaw, Poland. It was introduced to the UK in 1975 by Jim Fisk of Fisk's Clematis Nursery, Suffolk, England.